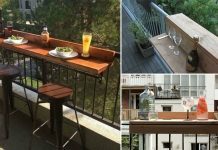 These 3 balcony garden design ideas will inspire you if you’re planning to create a balcony garden. 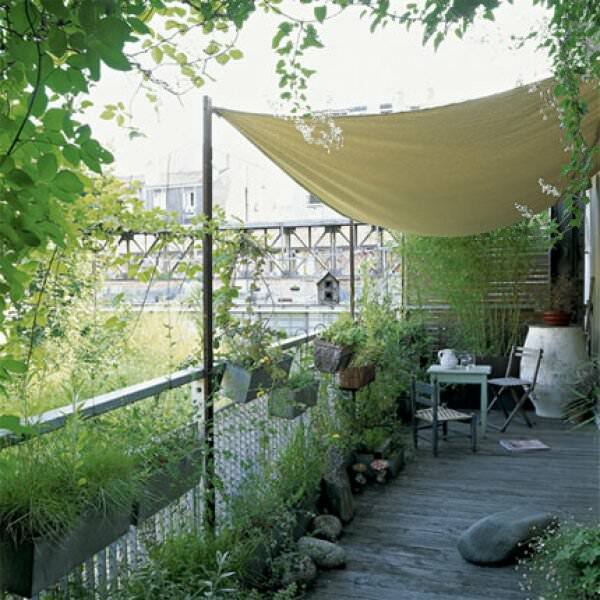 This apartment balcony in Paris, Belleville, is made into an urban jungle. Ideal for taking fresh breakfasts and lunches. Table and chairs are surrounded by lush vegetation of fast-growing, low care plant species: Fatsia japonica with the large glossy leaves (erroneously referred as castor oil plant), golden bamboo (Phyllostachys aurea) that is covering the space tightly and kōwhai (Sophora tetraptera) a plant coming from New Zealand. Also, the Eden rose is adding a charming touch of color. 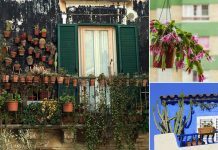 If you are concerned about the privacy in your balcony, you can grow similar plants. This large balcony has a garden in the bohemian style. 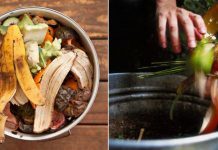 Most of the plants in it are wild and grow naturally, which means minimal maintenance. On the railing, railing planters are installed. Along the railing, below, the planters are lined with big stones in which wildflowers are planted. Grasses as they are easy to grow, are planted and along with the plants that are resistant to cold, wind and drought. Vegetation, natural stones, and accessories are transforming the space into a cozy outdoor living place that is very natural looking and rustic. 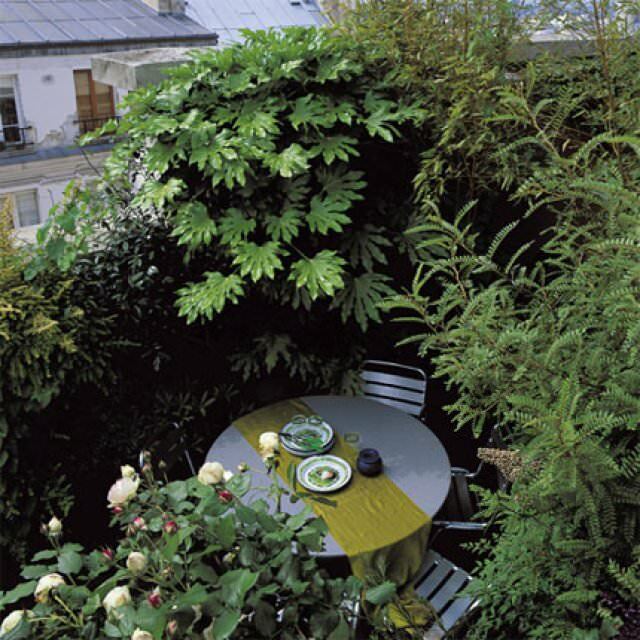 This mini terrace is transformed into a lovely green oasis. To free up space on the floor and to utilize the vertical space and to give height to the vegetation, vines (honeysuckle, ivy, clematis) are grown. To create lush greenery, all around it the bamboos are planted. 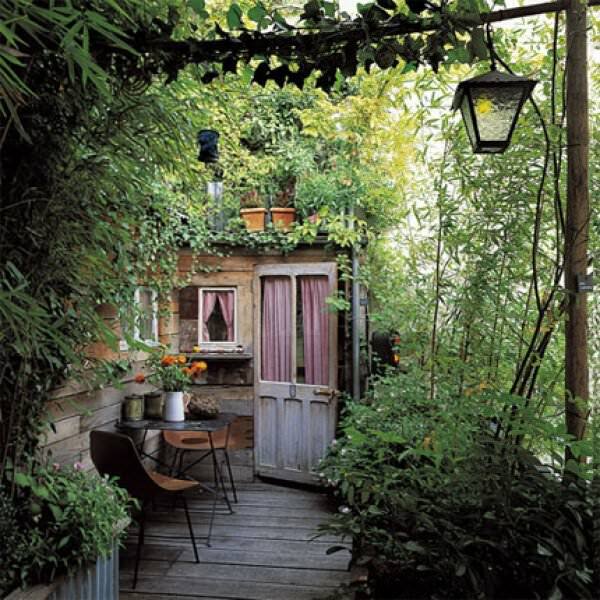 An excellent idea to transform the small terrace into a jungle.